At the heart of modern-day Victoria, also called Rabat, and observable for miles around on the island of Gozo is the Citadel – a Medieval walled city. Beneath the imposing fortifications is a flat-topped hill has provided a natural vantage point for people since at least the Bronze Age. The strategic location also attracted the Phoenicians, but it was the Romans who first laid out a fortified city on the hill top. The impressive walls and bastions we see today are, however, much later in date. The northern walls are an original 15th century build, while the southern stretch were reconstructed during the reign of the Order of St John in their attempts to defend the town against the Turks. While the Citadel is always open, the various attractions within its walls have the usual opening hours. Today there are many steps along the narrow streets, making this a difficult place to visit if you have limited mobility. These steps are not original, however, and they are to be removed as part of programme of restoration, includes closing the current main entrance in favour of the original entrances. 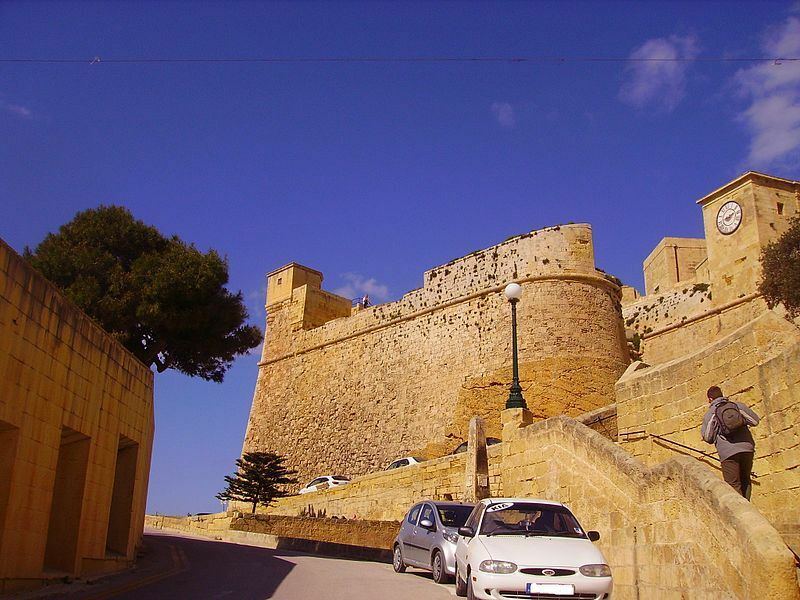 One ticket gives access to the following four attractions: Gozo Archaeology Museum, the Folklore Museum, & Natural Science Museum, as well as the Old Prison. The Citadel with its narrow alleys and high rampart walls makes for a wonderful historic site to just wander around and take in great panoramic views over the island. Walking through what is currently the main entrance takes you to the Cathedral square with the beautiful façade of a Baroque Cathedral. Down a narrow alley off to the left from the square is the Old Prison and Nature Museum – typical of its type with fossils, minerals, plants, fish and stuffed birds. The prison is immediately obvious by the original stocks outside. The Walls of the six cells that made up the prison have some fantastic graffiti, one dated to 1809. Off the Cathedral square to your right is an archway that leads to the Gozo Museum of Archaeology, and an alley that takes you to the entrance to the Gunpowder Magazine and Silos. This part of the Citadel is heavily restored, and now allows visitors to visit the Knight’s Gunpowder Magazine and the extraordinary conical silos used to store the Citadel’s grain reserves. The alley leading off the square along the left hand side of the Cathedral leads to the Cathedral Museum and the Folklore Museum.